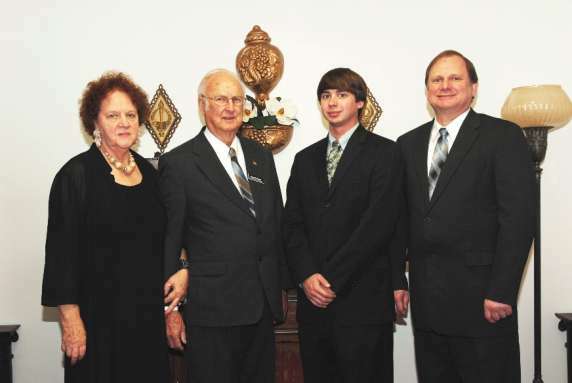 Howell is one of the owners of Skeen Funeral Homes, Inc. He is a licensed funeral director. Jean Skeen, Skeen Funeral Homes, Inc.
Jean Skeen has been involved with Skeen Funeral Homes since the business started in 1988. She is always willing and available to assist families with pre need and at need services. She devotes many hours of her time assisting families with insurance claims, V A claims and other services that are included in our charges. She is a caring, compassionate, unselfish woman who treats everyone the same and is truly an asset to Skeen Funeral Homes. Anthony has been involved with Skeen Funeral Homes since they opened in 1988. I am grateful to have a job that truly serves people. I look at my job as ministering to those who are grieving and helping people during one of the worst times of their life. If I can do anything to help a family during this traumatic time of their life to make this process less stressful and painless as possible by tending to the smallest details allowing the family and friends who have lost a loved one to concentrate on the grieving process. Ryan grew up in the funeral business, he has helped since he was old enough to work. Ryan is a compassionate. caring and loving young man.